Festivals are on going any time of year in Townsend, Gatlinburg, Pigeon Forge, Sevierville and Maryville, Tennessee. On the Gracehill Bed and Breakfast Calendar of Events, I have listed in detail hundreds of events happening in the area, although it would be questionable whether something was an event, show or a festival! I’ve listed what I consider the obvious festivals or fairs here from May through December 2019. Saturday, March 14- Monday, April 16, 2019 Dollywood’s Festival of Nations, Pigeon Forge. Friday, April 12th & Saturday, April 13th,2019 Fiber Arts Festival, Townsend Visitor Center 7906 E. Lamar Alexander Parkway. “Sheep to shawl” concept – transforming fleece into finished goods and art pieces. Friday, May 3 & Saturday, May 4th, 2019 Spring Festival held at the Townsend Visitors Center 7906 E. Lamar Alexander Parkway. Begins at 10AM, Fee for parking goes to the volunteer fire department. No pets, more info at 865-448-6134. Old Timers Day is in Cades Cove. The same weekend Townsend also has Little River Railroad Days on the 4th and there is a Pottery Festival at the Great Smoky Mountains Heritage Center couple of miles down the road. Tuesday, May 7 through Saturday, May 11, 2019 Wilderness Wildlife Week at the Pigeon Forge LeConte Center 2986 Teaster Ln, Pigeon Forge, TN. Wilderness Wildlife Week has a variety of programs for different interests and all ages, ranging from programs specifically for the youngsters to guided hikes for the more adventurous folks. The programs will be offered from around 8:00 AM until around 7:30 PM daily. Friday, May 17th through Sunday, May 19, 2019, Smoky Mountain Scottish Festival held at Maryville College, 502 E Lamar Alexander Parkway, Maryville, TN. Info at 865-777-1059 or www.smokymountaingames.org. East Tennessee’s premier celebration of Scottish culture and history. Originally founded in 1981 as the Gatlinburg Scottish Festival and Games, we are one of the oldest Scottish Festivals in the country. Friday, June 21st through Saturday, June 22nd, 2019 BBQ Bash, Founder’s Square on Broadway, Maryville, (865) 329-9030. Hops in the Hills, yearly craft beer festival in conjunction with Summer on Broadway and the State Championship BBQ cook off contest. 865-983-2241. Ticketed event. Saturday, June 29th, 2019, Freedomfest at Springbrook Park, Alcoa, TN from 6PM to 11PM at the Alcoa Duck Pond. Musical performers, fireworks. 865-380-4700. 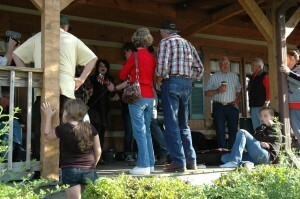 Complete listing at www.smokymountains.org go to events and then the date. Thursday, July 4th, 2019, Fireworks in Townsend and Gatlinburg and during the day there is a festival at Patriot Park, 186 Old Mill Ave, Pigeon Forge, TN. Sunday, August 11th through Sunday, August 18, 2019, for a week all day long, Smoky Mountain Songwriters Festival, Gatlinburg, TN. 130 acts of seasoned and novice songwriters and musicians. Register for workshops. (865) 604-9066. Saturday, August 17th, 2019 Hot Air Balloon Festival at the Townsend Visitor’s Center. Thursday, September 12th, 2019, 6PM to 8PM, Taste of Blount, Theater in the Park in Maryville, TN by the old court house. THIS IS MY FAVORITE FESTIVAL!! If you are staying here, this is a must do, let me know I’ll get you tickets rather than at the gate. Gatlinburg also has the Taste of Autumn, same date at the Convention Center. Friday, September 27th and Saturday, September 28th, 2019 Fall Heritage Festival and Old Timers Day, all day long, (800) 525-6834. Visitor Center, Townsend, TN and Cades Cove Old Timers Day in the Great Smoky Mountains National Park. In the same area Railroad Days are happening at the Little River Railroad Museum in Townsend..
Saturday, September 28, 2019- one day, all day: Blue Ribbon Country Fair, Great Smoky Mountains Heritage Center, Townsend, TN. 865-448-0044. Great county fair, wide range of opportunities. I enter every year is pursuit of fame and glory in the baking division!! Thursday, October 10th through Sunday, October 27th, 2019 all day long: Gatlinburg Craftsmen’s Fair, Gatlinburg, TN. (865) 436-7479 Tentative hours are 10 a.m. to 6 p.m. daily, 10 a.m. to 5 p.m. on Sundays. Entertainment is included in the admission cost. Group rates are available. For more information, call 865-436-7479 or visit website. 200 Booths. Friday, October 18th through Saturday, October 19th, 2019 Maryville College Arts and Crafts Fair and Homecoming. Friday, November 1st and Saturday, November 2nd, 2019 Grits and Grains at the Townsend Visitor’s Center, Over 21- The Townsend Grains and Grits Festival is a festival of southern spirits and gourmet grub. We have created a unique opportunity for you to experience our thriving craft spirits and gourmet food community, while discovering some oft he region’s legendary distillers and blenders, taking place in the Peaceful Side of the Smokies. Tuesday, November 26th, through Sunday, December 1st, 2019 Great Smoky Christmas Arts and Crafts Show, Gatlinburg Convention Center. Sunday, December 1st, 2019 Christmas Parade through Townsend!